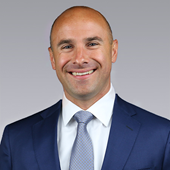 Joel R. Yakovac is a member of the Columbus Industrial Team at Colliers International. Along with Michael R. Linder, SIOR, Shane E. Woloshan, SIOR, Jonathan R. Schuen and Amie L. Lenhart, Joel specializes in industrial sales and leasing. He focuses on new business development and prospecting new tenants, buyers, landlords and sellers. Joel works with local companies throughout Central Ohio as well as large corporations across the United States. Through extensive work, the willingness to go above and beyond and a vast grasp of the Columbus industrial market, Joel ensures clients have professional and efficient representation to expedite successful transactions. "Joel understood what our needs were...outstanding work in assisting us to get a zoning variance, this was pivotal in getting the transaction closed...we would be happy to recommend you and your services to anyone who has industrial needs in Central Ohio." 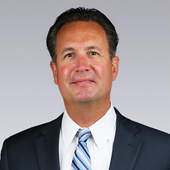 Michael R. Linder, SIOR is a member of the Columbus Industrial Team at Colliers International. Along with Joel R. Yakovac, SIOR, Shane E. Woloshan, SIOR, Jonathan R. Schuen and Amie L. Lenhart, Mike works with owners and tenants in the leasing, sale, and development of industrial properties, primarily in the southeast and southwest markets. He has been involved in real estate for over twenty years. Mike is a member of the Colliers Logistics and Transportation Solutions Group (L&T). L&T is a select group of specialists dedicated to delivering focused solutions to the increased challenges of today’s global shipping and transportation community. With the group, he has traveled throughout North America as well as South America on port tours to understand what drives demand to Columbus, Ohio and to set new standards for delivering clients the most advanced resources and service. Shane E. Woloshan, SIOR is a member of the Columbus Industrial Team at Colliers International. Along with Michael R. Linder, SIOR, Joel R. Yakovac, SIOR, Jonathan Schuen and Amie Lenhart, Shane specializes in industrial leasing, investment sales and tenant representation. Throughout Shane’s fifteen year career in commercial real estate he has established himself as one of the prominent names of industrial real estate in Columbus, Ohio. Shane has provided his expertise to major corporations, local companies, investors and developers. In addition, he also earns referrals and repeat business from his many satisfied clients. Shane’s market knowledge, relationships, prompt follow up and attention to detail enable him to successfully complete assignments for his clients. 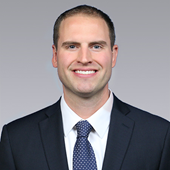 Jonathan R. Schuen is a member of the Columbus Industrial Team at Colliers International. Along with Michael R. Linder, SIOR, Shane E. Woloshan, SIOR, Joel R. Yakovac, SIOR and Amie L. Lenhart. Jon specializes in industrial sales and leasing. He brings an exceptional work ethic to a team of seasoned real estate advisors which he works closely with on new business development and prospecting new tenants, buyers, landlords and sellers.